Sometimes, I can’t quite believe my luck. Things come my way that genuinely have me squealing with excitement and counting down the days. Getting offered tickets to review Rock of Ages was one of those occasions. I emailed my response with unbridled enthusiasm and haste, popped the date in my diary and hoped the 8th of October would come around quickly. 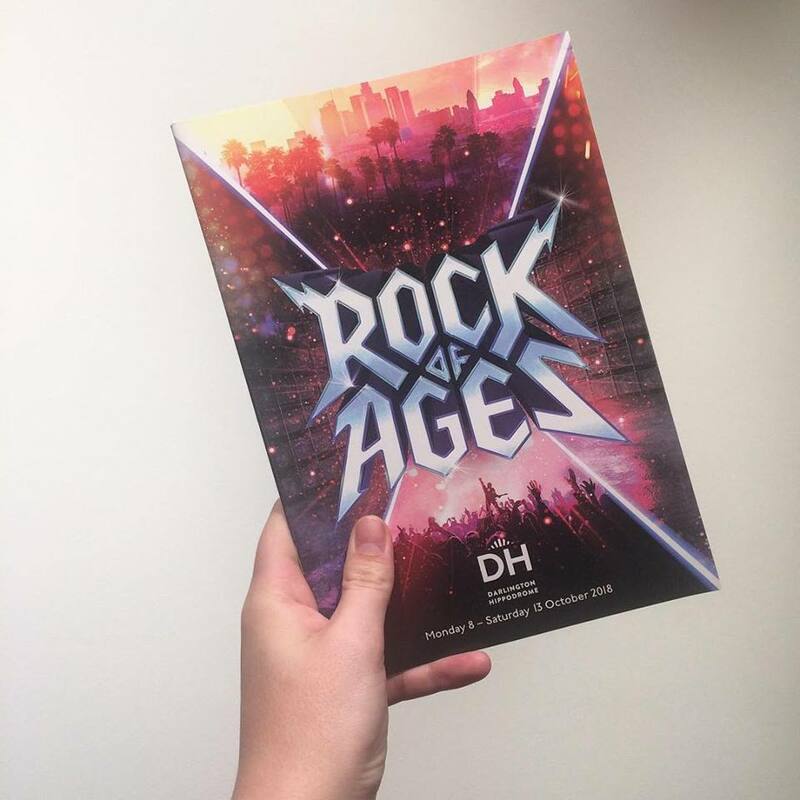 Rock of Ages is a thrilling, high energy show, set in 1980’s America. The hair is big, the shoulders bigger and rock and roll is taking over. In amongst this world of hairspray, beer and dramatic declarations of emotions, Sherry and Drew find themselves drawn to big city dreams. They battle with their feelings for each other and a city that makes you work for what you want most. This show isn’t just about the drama however. As I watched the show, I found myself howling with laughter on more occasions that I would care to admit. This was genuinely funny, often in terribly self aware or inappropriate ways. It isn’t a show I would take my grandmother to, but I really loved it. Alongside this, the soundtrack is enthralling. With hits from the like of Journey and Pat Benatar, I knew I was going to enjoy the show but I didn’t expect to be singing along or dancing in my seat for the entire performance. This was largely due to the phenomenal performances of the cast. Each and every one of them barrelled onto the stage with so much energy that I was utterly enthralled. You couldn’t help but feel their energy or respond to it. They held nothing back and showcased their considerable talent effortless. A real star for me was Lucas Rush, who played Lonny. With a lot of the show resting on his comedic timing, it was a big role to fill but he held the audience in his palms every time he bounded from the wings. This is a big show, in every way and I implore you to go and see it for yourself. Who doesn’t need some extra rock and roll in their lives? For more information or to book tickets of your own, head to www.darlingtonhippodrome.co.uk . I really must say thank you once again to Darlington Hippodrome for gifting me two tickets to this show in exchange for an honest review.